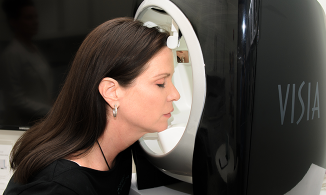 VISIA skin analysis uses a multi-spectral imaging system to identify different problem areas of your complexion which allows for a customized skin treatment program. 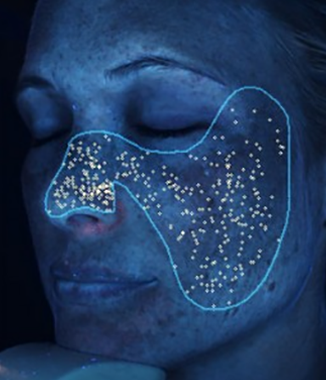 A VISIA imaging session captures key visual information for six areas affecting complexion health and appearance: wrinkles, spots, pores, evenness (color variation in the skin tone), porphyrins (evidence of bacteria in pores), and UV spots (characteristic of photodamage, typically from overexposure to sun). Spots are typically brown or red skin lesions including freckles, acne scars, hyper-pigmentation and vascular lesions. 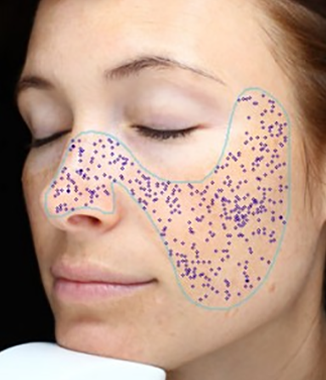 Surface irregularities can be improved with basic exfoliation techniques, this will encourage cellular turnover and allow products to be better absorbed and utilized. IPL or photofacials will improve the color and tone while HQRA+ will decrease pigment production in freckles and brown spots. How do I get personalized advice? Contact our licensed estheticians and skin care experts who can help you better understand your skin and determine which products will bring out the best in it. Wrinkles are furrows, folds or creases in the skin that increase overtime as a result of sun exposure. Wrinkles are associated with decreasing skin elasticity. Wrinkles are identified by their characteristic a long, narrow shape or line. The eye area is thin delicate tissue. Start using eye cream early because we age there first. Look for ingredients like retinol, stem cells, peptides and antioxidants. Texture is primarily an analysis of skin smoothness. Basic exfoliation techniques will help remove the dead skin cells and smooth the overall texture of the skin as well as allow additional products to be better absorbed and utilized. Pores are the circular surface openings of sweat gland ducts. Proper cleansing is important, be sure to cleanse for 60-90 seconds and use small circular motions across the face and don’t forget the nose. 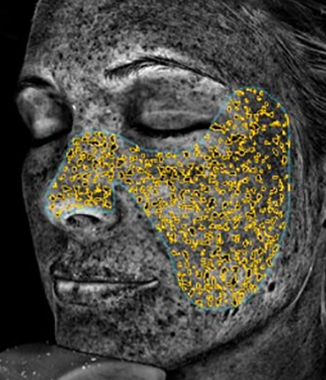 UV Spots occur when melanin coagulates below the skin surface as a result of sun damage. Always protect the skin with a sunblock, minimum SPF of 30 and always use reparative products containing high doses of antioxidants to repair free radical damage. 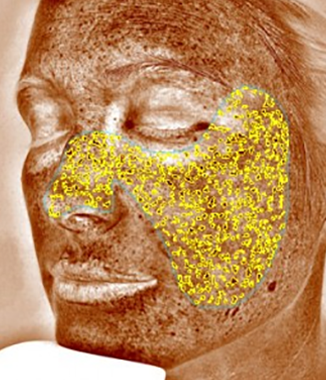 Brown Spots are lesions on the skin such as hyper-pigmentation, freckles, lentigines, and melasma. 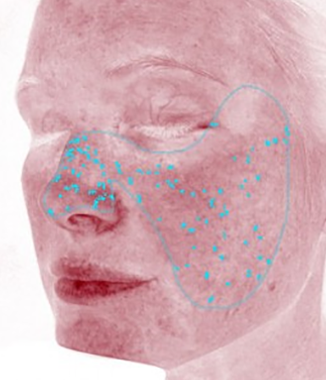 Red Areas represent a variety of conditions, such as acne, inflammation, Rosacea or spider veins. Calm the skin with antioxidants and anti-inflammatory products. Porphyrins represent the natural bacteria that live in our oil glands. They can become lodged in pores and lead to acne. This score varies from person to person and it is ok to have a natural level of bacteria. Cleanse regularly and keep everyday items like makeup brushes, cosmetics, cell phones and pillow cases clean. © 2019 Siperstein Dermatology Group. All Rights Reserved.